In 2015, we are celebrating the centenary of Elisabeth Schwarzkopf, one of the greatest singers of the 20th century. Warner Classics actively commemorates this centenary, starting with this LP re-release of her landmark recording of Strauss� Four last songs, recorded in September 1965 under George Szell�s direction. 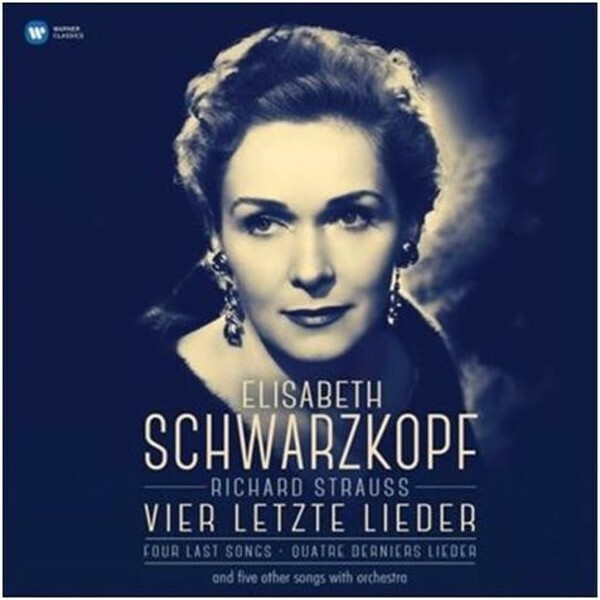 The sublime and moving culmination of Richard Strauss�s love affair with the soprano voice, the Vier letzte Lieder are interpreted by Elisabeth Schwarzkopf with insight, wisdom and gentle radiance. In the early years of his career, George Szell was mentored by Richard Strauss himself, and he provides Schwarzkopf with an exquisitely sensitive orchestral context for all nine songs in this classic anthology. Whilst the original album programme has been kept, this LP reissue benefits from a new cover: the magnificent classic portrait shot of Elisabeth Schwarzkopf taken by Angus McBean at the peak of her beauty.